1.) 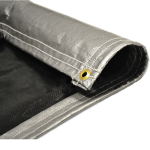 Souped-Up Sand Boxes" If your rug rats love to play in the sand, consider building a souped-up sand box with our vinyl tarps. Build the sand boxs frame out of treated 2 x 4s or railroad ties. Next, line the frames interior with one of our vinyl tarps. Then use another tarp to create as a shade-producing roof. Add the play sand and then cover it with an additional vinyl tarp when the kids are finished playing. The third vinyl tarp will help keep the local wildlife from using the sand box as an outhouse. 2.) Makeshift Slip-n-Slide" When its time to get wet, use our vinyl tarps and foam pool noodles to make a cool slip-n-slide. 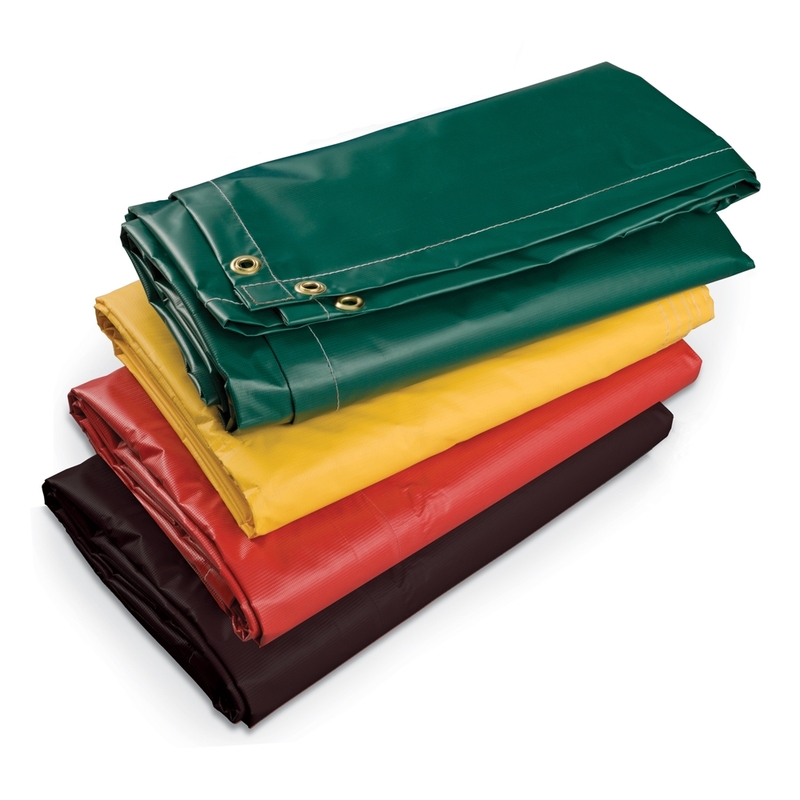 Use the foam pool noodles to create the sides of the slip-n-slide and the vinyl tarps as the base. Then add water from the garden hose and let the kids have at it. 3.) Fun Fort 101" Our vinyl tarps may also be used to build a series of fun forts. 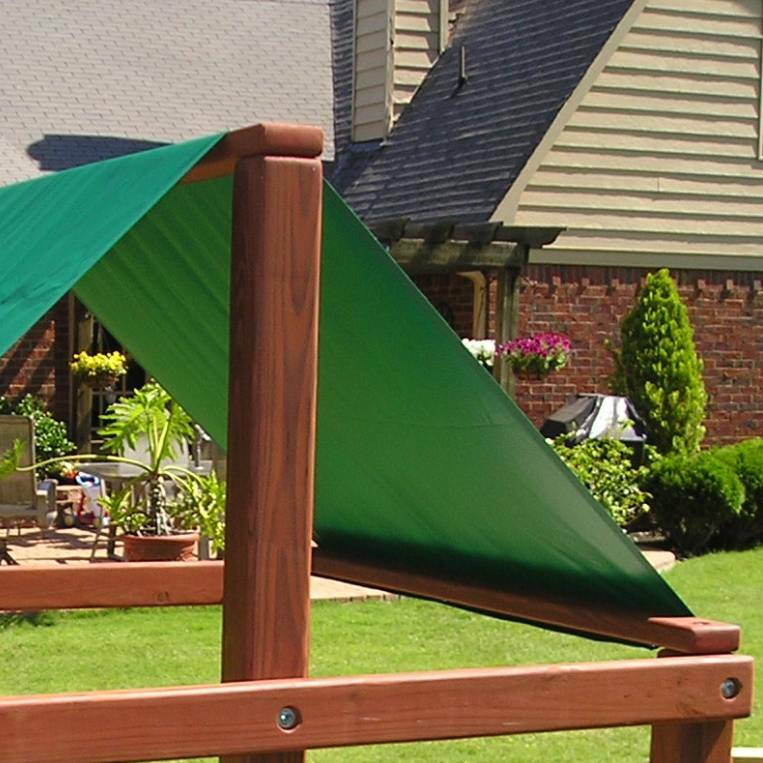 For a super easy variation, hang one or two of our tarps over a clothes line, tree limb or picnic table. Youll have a kid-approved fort in an instant. For more elaborate set-ups, consider busting out the tent poles or frames. 4.) Good Morning Picnic" Most folks associate picnics with afternoons and early evenings. But with our vinyl tarps, the kids can have one in the mornings. The vinyl will keep their little butts from getting soaked with dew. Just spread one out onto the ground and send the kids outside with portable breakfast foods. Ones that come to our minds are refrigerator oatmeal, yogurt parfaits, fresh fruits, bagels with spreads and hardboiled eggs. 5.) Picasso Perfect Art –Lastly, why not hang one of our vinyl tarps up outside and let the kids unleash their inner Picassos. Give them a box of grease pencils, washable tempera paints and wet chalk that they can use to decorate the tarps. Then afterwards, hose down the vinyl and let the fun begin all over again. 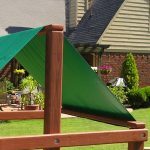 To discuss these ideas further and find the perfect vinyl tarps for creating backyard fun, pleasecontact usby dialing (877) 811-3911. We have an abundance of vinyl laminated, coated, mesh and fire retardant tarps to choose from and well ship them fast. This entry was posted in vinyl tarp, vinyl tarps and tagged vinyl covers, vinyl tarps on June 26, 2014 by CanopiesAnd Tarps.